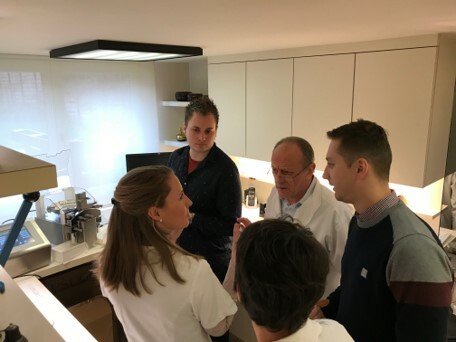 A well-established pharmacy in Roeselare Belgium, Apotheek Guido Meeuws, produces specific bespoke medication and prescriptions for individual customers. Quality control is a key issue for the business owner, Guido Meeuws, and as his capsule making machine was more than 8 years old, he needed to weigh every individual capsule on a laboratory scale. He realised that extensive time was being taken to individually weigh every capsule that was being produced. This was occupying valuable time of his staff of eight and costing an extra 10 hours a week in overtime. It also meant it took longer for medicine to be prepared for his customers. Guido looked at what was available on the market and identified the CI Precision SADE SP-B40 Benchtop tablet & capsule weight sorter as the ideal solution. The SADE SP-B40 Benchtop can individually weigh just over one capsule per second. A typical batch size of 100 capsules can now be weighed in about a minute and a half, something that used to take over an hour to do. In addition, each batch is summarised in a report, and using the SP Connect software, this data can be saved as a pdf on an external PC. “The machine is reliable, and we all find it simple to use. A lot of time is saved, and we can produce medication for our customers quicker than before”.